One of the core remits of the Hopetoun Estate is to protect, preserve and enhance the built and natural heritage of the estate for future generations whilst minimising any impact on the wider environment. 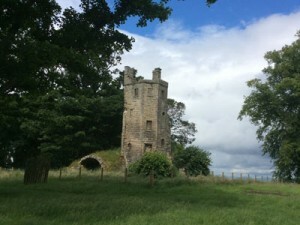 Spanning 6,500 acres from Queensferry to Blackness, the Estate encompasses one of Scotland’s finest designed landscapes, dating from the 18th century and comprising of category A listed buildings, an important plant collection, fine parkland and woodland, all of which make a major contribution to the surrounding landscape. Our culturally and historically significant built heritage includes three scheduled ancient monuments, 30 listed buildings, together with a RAMSAR site, SPA site and a SSSI, together with a number of Local Wildlife Sites. It is vitally important that the Estate’s assets are managed in a sustainable and progressive way in order to preserve and enhance the heritage and we constantly strive to achieve or exceed best practice in a number of areas. We are constantly looking for ways to diversify and make best use of our assets in order to guarantee a sustainable future. With more over 100 different properties on our land Hopetoun has a very high energy demand. For a number of years Hopetoun has taken steps to manage its consumption of energy with particular emphasis on decreasing the estate’s carbon footprint and in 2011 Hopetoun Renewables was formed. The first project on the Estate was realised in Spring 2012 and involved the installation of solar panels on top of the large south facing grain stores at Trinlaymire Farm on the Estate. 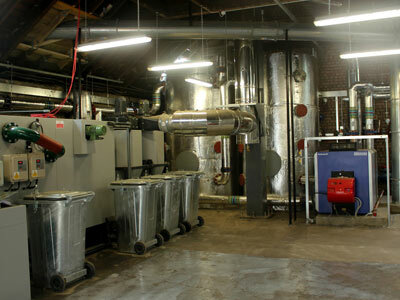 The largest project to date was launched in Spring 2013 when we installed an 800kW biomass system which uses wood chip created from the Estate’s woodland to heat Hopetoun House, Hopetoun Estate office and a small number of other adjacent properties. Hopetoun Renewables developed a woodland management plan for the estate to ensure that the boiler will have sufficient timber. This not only ensures that there is a locally produced sustainable wood fuel but that the maximum financial benefits are achieved from the woodland. 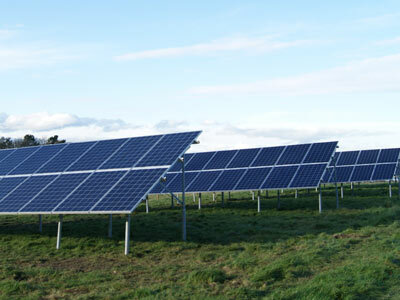 Following the success of the solar panels at Trinlaymire further sites were identified on the Estate for additional installments and in Autumn 2014 the fields behind Hopetoun Farm Shop became home to 96 new panels generating 2,500kW of energy. These panels were built on raised platforms to allow the farm’s sheep to continue grazing in the fields. In January 2015 the Estate was very proud to be recognised for our commitment to the environment and awarded an Energy & Environmental Award by Queensferry Ambition. A short video featuring Lord Hopetoun below was produced to support our application. The Estate will now continue to look for innovative solutions to help reduce the energy costs and provide fuel security for the future. We are continually looking for innovative ways of sustainable diversification to enable us to invest in the maintenance and improvement of the environment.